What do you mean by divya-jnana? 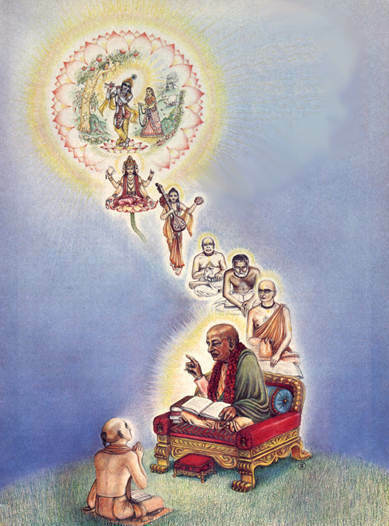 Divya-jñāna means transcendental, spiritual knowledge and not material knowledge.Material knowledge, if you write some book, it has no meaning, because it is defective. But Vedic literatures, four Vedas, Vedānta-sūtra,c eighteen Purāṇas, chundred and eight Upaniṣads,then Rāmāyaṇa, Mahābhārata, so many, full of knowledge, transcendental knowledge. It is not ordinary knowledge. ​Why Vedas' knowledge accepted so rigidly? Because it is spoken by sākṣād nārāyaṇaḥ ... In the words of Nārāyaṇa, there are no deficiencies. In the words of conditioned soul there are so many deficiencies. To whom Divyajnana will be revealed? Transcendental knowledge becomes revealed to such person who has got unflinching love for Kṛṣṇa and for the spiritual master. Caitanya-caritāmṛta also says: guru-kṛṣṇa-kṛpāya pāya bhakti-latā-bīja [Chaitanya Charitamrita Madhya Lila 19.151].One can come to the spiritual perfectional stage, or come to the spiritual platform, by the mercy of Kṛṣṇa and the spiritual master. Who can represent as Guru? Caitanya Mahāprabhu said that yei kṛṣṇa tattva-vettā sei guru haya: [Chaitanya Charitamrita Madhya Lila 8.128] "If anyone is representing as guru, he must know Kṛṣṇa." 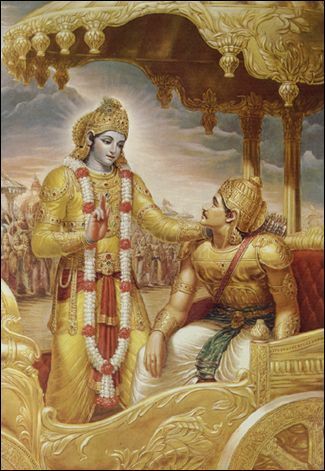 He must know Him in TRUTH(yojānāti tattvataḥ - Refer Bhagavad Gita 4.9). The spiritual master is the person who opens our eyes, complicated in ignorance, with the torch of transcendental knowledge. Timirāndhasya. Every one of us born ignorant, and we require specific education and training for seeing things as they are. When one must seek a guru? When he is inquisitive to understand the transcendental knowledge. "tasmād guruṁ prapadyeta Jijñāsuḥ śreya uttamam. It is not a fashion. It should be very serious. One who is very much eager to understand transcendental knowledge. The human form of life is meant for understanding transcendental knowledge. In the Vedānta-sūtra it is said,athātobrahma jijñāsā. This human form of life is meant for inquiring about the Absolute Truth. So everyone should be interested to understand the Absolute Truth. The Ishopanishad therefore instructs us not to make one-sided attempt to win over the struggle for existence. Everyone is struggling hard for existence but the law of material nature is so hard and fast that it does not allow anybody to surpass her inexhaustible energy. In order to have permanent life one must be prepared to go Back to Godhead. This process of going back to Godhead is a different branch of knowledge and it has to be learnt from the revealed Vedic scriptures like the Upanishads, Vedanta, Bhagavad Gita, Bhagavatam etc. Therefore to become happy in this life and to get a permanent blissful life after leaving this material body one must take to these literatures for transcendental knowledge. The forgetful living being has forgotten his eternal relation with God and he has mistakenly accepted the temporary place of birth as all in all. The Lord has kindly made all the above mentioned scriptures in India and others in other country to remind the forgetful human being that his home is not here in this material world. The living being is a spiritual entity and he can only be happy by returning to his spiritual home back to Godhead. The Personality of Godhead from His kingdom sends His bonafide servants to propagate this mission of Back to Godhead and sometimes He comes Himself to do this work. All living being are His beloved sons parts and parcels and therefore the Personality of Godhead is more sorry than ourselves for the material sufferings which we are constantly undergoing in the material conditions. The miseries of the material world are also indirect reminders of our foreign inhabitation; and intelligent living entities generally take note of these reminders and side by side engage themselves in the culture of Vidya or transcendental knowledge. The human life is the best opportunity for this culture of spiritual knowledge for returning back to Godhead and the human being who does not take advantage of this opportunity of the human life is called a Naradhama or the lowest of the human being.